The more I see of this film, the more I fall in love with it. It’s still set in J.K. Rowling’s universe but many years before Harry Potter was born. 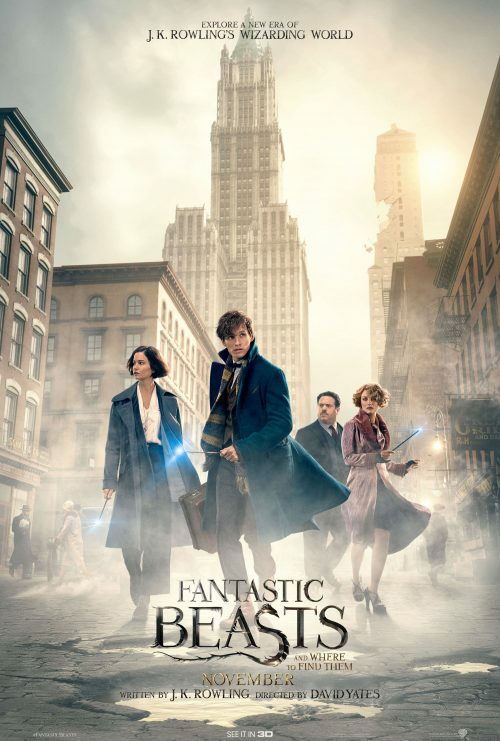 Fantastic Beasts and Where to Find Them is her first foray into writing for the screen and by the look of the trailers she has done good job. A nice mix of confusion that the English have when we go to America. The early trailers didn’t show that much of the Wizarding world in America but as the trailers are released, we see more and more Fantastic Beasts in ever one. This one also shows us a lot more of what the plot is going to contain. What seems to be a war between the Muggle & the magical world.